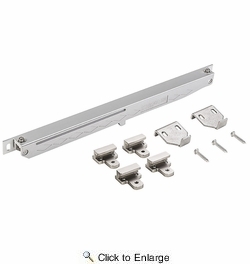 National N187-082 Sliding Door Soft Close Kit - Satin Nickel (V1060). For use with National Hardware kit N186-966. Soft close action for most flat track sliding door hardware kits. Soft close attachment installs on both ends of the track and allows door to open and close quietly. Designed to install discreetly onto flat track interior sliding door hardware kits. 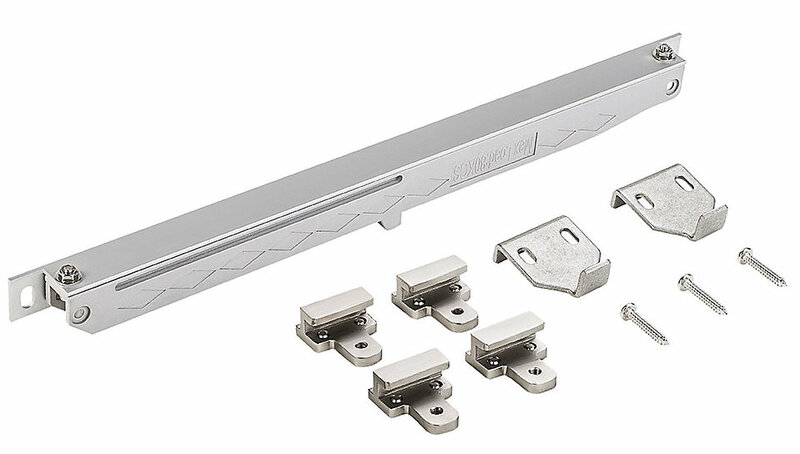 Mounts to new or exisiting flat track sliding door hardware kits. Includes two soft close attachments, mounting clips and installation hardware. Includes detailed instructions for easy installation.